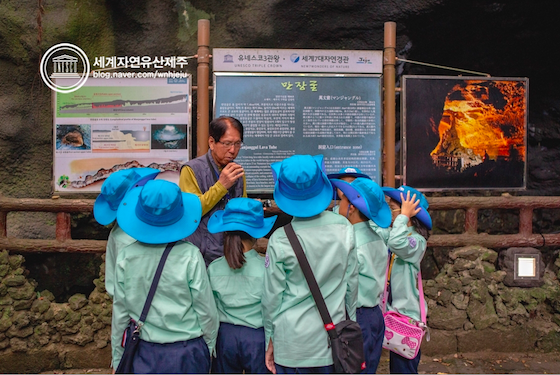 You can now experience a unique tour by listening to the explanations of children commentators in the Jeju World Natural Heritage site Manjanggul Cave. The Jeju World Heritage Center on August has selected 15 elementary students to be the commentators for the tourists to understand Manjanggul Cave more easily. 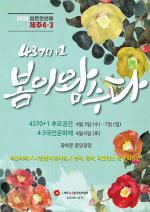 The Jeju World Natural Heritage Children Commentator program for Manjanggul will be active everyday during August and every Saturday from September to December. The center conducted a training program for students from Gimnyeong Elementary School and Dongbok Elementary School, and 15 students were qualified as the official Jeju World Natural Heritage Manjanggul children commentators. The Jeju World Natural Heritage site Manjanggul is one of the most popular natural attraction in Jeju, especially in summer. The average temperature of the cave during summer is 10 to 12 degrees Celsius.